Being a mother, I cook everyday to provide healthy food for my kid. No, I am not a housewife. I need to prepare dinner in the morning before I go to work. After work, I need to fetch my kid from daycare and cook dinner once we reach home. Cooking can be tiring since I have already working 8 hours in the office. Sometimes I wish that I just take away outside food, and not bother of the MSG contained in the food. One day, I came across this Instant Pasta Master Pasto. 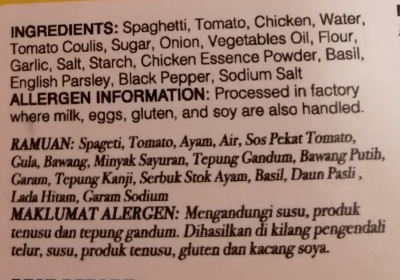 I got attracted with the words on the box, “no MSG, no preservatives and no refrigeration required”. When you think of outside/packaged food, first thing in your mind is either MSG or preservatives. To my surprise, this Master Pasto does not contain any of these. Best of all, I just need to heat up only. I gave a try and it was delicious. I tried the spagetti bologenese first, I have two other types of flavour too. When I am outside, normally I prefer Aglio Olio and seldom choose spaghetti bolognese because most of the time the sauce is sour. I don’t like sour taste. 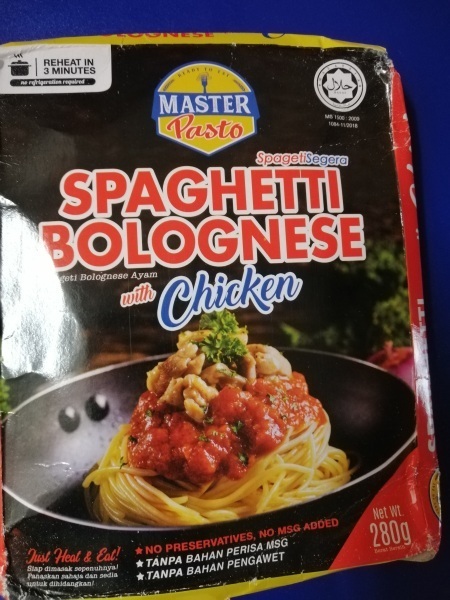 This Master Pasto is just nice, a bit of sour only and it is really tasty, which I had doubts at first from its plain appearance (because I am so used to lots of meat and ingredients in it). Great for those who travel with kids or in a hurry to prepare food for their kids to eat in the school.